Ground cherry (Physalis alkekengi): growing, planting, caring. ‘Love-in-a-cage’ - is this flower called in French! Physalis - the groundcherry - is a genus of 75-90 species in the nightshade family Solanaceae, native to warm temperate and subtropical regions of the world, mostly the Americas, and cultivated species and weedy annuals have been introduced worldwide. Physalis are herbaceous either annuals or perennials, growing to 0.4 to 3 m tall and resembles a tomato plant with a stiffer, more upright stem, forming a large papery husk derived from the calyx, which partly or fully encloses the small and orange fruit, similar in size to a cherry tomato. Some species are sensitive to frost, but others, such as the Chinese lantern, P. alkekengi, tolerate severe cold when dormant in winter. Ground cherry have oval leaves, at the end of a petiole, and end in tips. The plant is downy, erect, and bears white or cream flowers as early as May. Inside: Sow at the end of March under cover, above 16 ° C, every 3 cm / 1 inch, buried lightly, in bucket in a draining mix of fine compost, earth and sand. Outside: Sow from mid-May in place, above 16 ° C, every 3 cm / 1 inch, buried slightly. Physalis likes light in a moderately rich and drained soil. Transplant in the garden after frosts, in neutral, rich, rather dry soil, in the sun. Space the plants by a meter or more, because they will expand a lot. Work the soil simply, breaking it down with a pitchfork, then scratching the clods on the top. Plant with a dibble, then pack the root ball well, and water. Plant after frost, in neutral, rich, rather dry soil, in the sun. Space the feet by a meter/4 feet or more, because they will expand a lot. Work the soil simply, breaking it down with a fork, then scratch the clods on the top of the soil. Plant with a dibble, then tamp the ground well, and water. One month after sowing under cover, repot in a pot or a bucket under cover, in a draining mix of fine compost, soil and sand. Mulch the ground cherry, it will save you the hassle of watering too much, weeding too - and it will protect it when the frosts come. 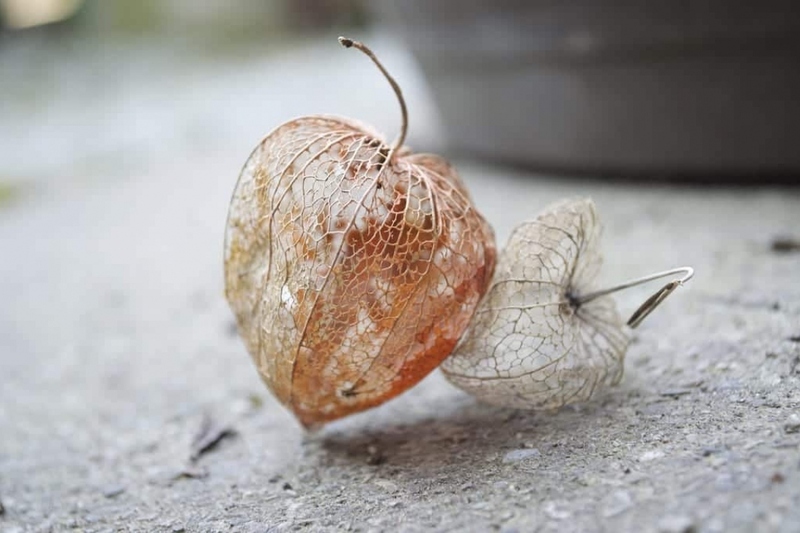 From mid-September physalis can be harvested: they are fruits used in cooking, or to replace candies. Place a blanket at the foot, then shake the plant reasonably without breaking the branches or pulling on the remaining fruit. If the fruit has a grayish color it is spoiled: keep only those of light beige color.